Service Area: the city of Plymouth, Wayzata Schools, Robbinsdale School District, west metro area and surrounding communities. 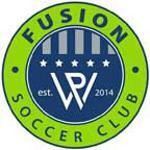 Fusion Soccer Club was created through the merger of Plymouth Soccer Association and Wayzata Soccer Club. Fusion SC provides recreation, development and competitive programs for youth ages 3 through 19. Our purpose is to provide the youth of our community and surrounding area with the opportunity to play soccer at any level and create a fun, safe and respectful environment where these players can develop a passion for the game and reach their fullest potential.